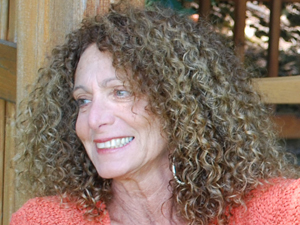 Rita Paskowitz doesn't just tell stories: she ELECTRIFIES them! Believing that everyone - young or old - is a story waiting to be told, Rita combines her skills as a storyteller, actress, writer, comedienne and improvisationalist into interactive workshops that span the storytelling process. Participants joyously progress from self-discovery to story-crafting to actual performance in a mere five days. Choose an opportunity for your students to build intergenerational relationships, journey through mythology, understand the Holocaust, carve a pathway through pioneer Nebraska, write and present a personal narrative (perfect for fourth graders! ), create or recreate a genre tale - whatever storytelling project might cross and coincide with your curriculum or current event - or let Rita create a residency JUST for you. Using hands-on activities and exercises guaranteed to free up even the most hesitant first-time teller, Rita's goal is not just to focus on excellent storytelling but to illuminate the power of each individual's life experience and the value of sharing it - while having a WONDERFUL time.